Tailgates and big family parties call for a hearty dip. 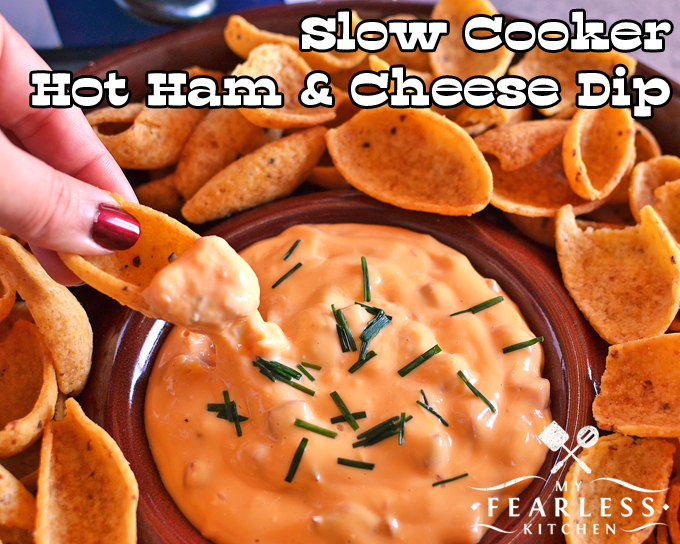 This Slow Cooker Hot Ham & Cheese Dip is the perfect comfort food to keep you going all day long! There is just something about hot ham and cheese, isn’t there? 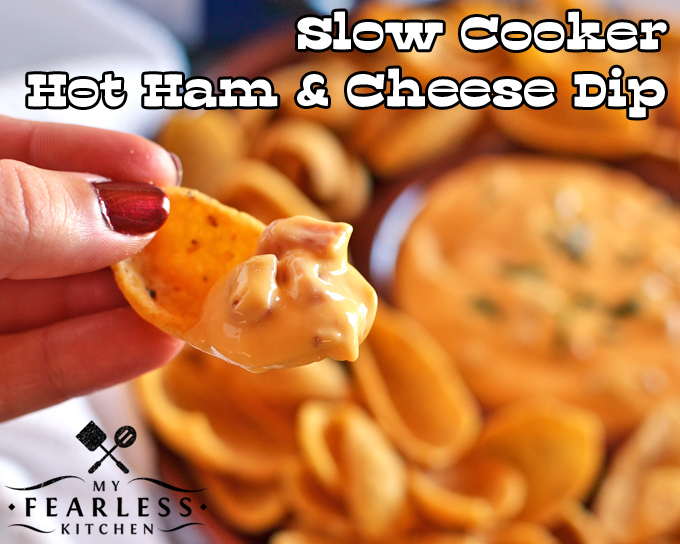 This dip reminds me of this Slow Cooker Ham & Cheese Soup… but it’s thick and scoopable onto yummy chips. This dip really does need to be served warm. As it starts to cool off, it loses this wonderful creamy texture and has a consistency more like Velveeta. 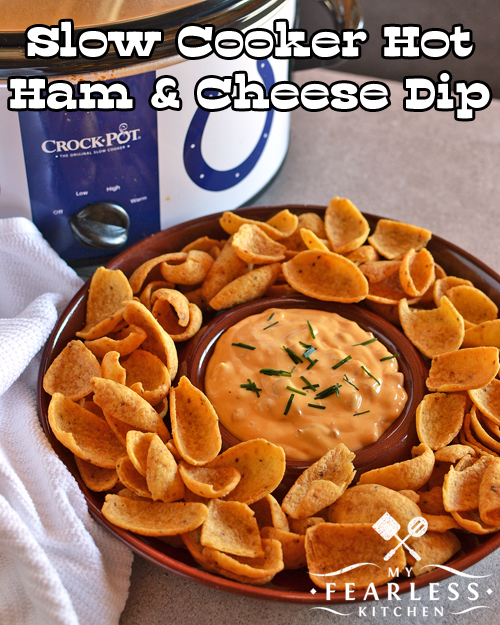 Because, let’s face it, this dip is mostly Velveeta. Stash any leftovers in an air-tight container in your refrigerator. Warm it up in the microwave or in your slow cooker again before you have that late-night snack. Combine all ingredients in a 6 quart slow cooker (use a slow cooker liner for easier clean up). Cover and cook on low for 2-3 hours, stirring occasionally, until cheese is melted and dip is creamy. Turn slow cooker temperature down to "warm" to keep dip hot for serving. Garnish with fresh chopped chives, if desired. Refrigerate leftovers in an air-tight container and reheat before serving. « What Is The Withdrawal Period for Antibiotics, and Why Does It Matter?